The HTC One X, the company's flagship Android device, will receive the anticipated Jelly Bean update in October, according to reports. MoDaCo has word that unlocked devices will receive Android 4.1 within a matter of weeks, while those tethered to a network contract may have to wait until right before Christmas. The 4G LTE version of the device, the HTC One XL (already available in the U.S. and rumoured to be on the way to EE) is also reportedly in line for the update and may have Jelly Bean built in, upon its U.K. launch. HTC is notoriously sluggish when pushing out the Android updates, but perhaps the imminent Jelly Bean-ification of the Samsung Galaxy S3 has given the Taiwanaese a little motivation to get things moving. The Galaxy S3 is also scheduled to receive the latest version of Android next month, while the 4G LTE version of the device, also confirmed for EE, will have Jelly Bean out of the box. 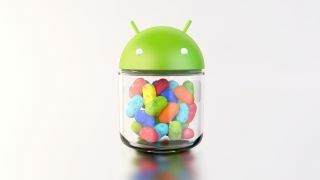 In the U.S., Verizon announced Friday Jelly Bean would start rolling out to the Samsung Galaxy Nexus, as well. TechRadar reviewed the HTC One X and found it to be an extremely solid device and perhaps the company's best Android phone yet. It has a great screen, stunning design, Beats Audio tech, the ever-awesome HTC Sense 4.1 UI, a Tegra 3 quad-core processor, and a massively improved camera. However, the device has been somewhat of a sales flop, and hasn't yet managed to push the company back towards its pre-2011 glory days as the de facto Android kingpin. HTC announced two Windows Phone 8 handsets earlier this week - the Windows Phone 8X and the Windows Phone 8S - which the company announced will hit U.S. carriers in November.